Hi everyone! 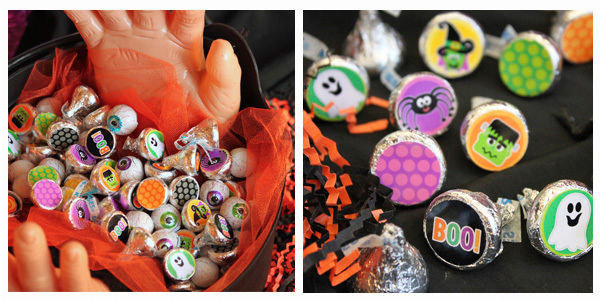 Today I'm giving away a FREE download of Halloween Hershey's Kiss stickers with fun little Halloween designs! So be sure and grab your download for some fun Halloween treats for teachers, friends and neighbors! Love these Halloween Treat ideas! Thanks so much for sharing!! Thank you SO MUCH for guest posting today!! Such cute ideas.. wish I had more time to make things.. or the time to have a cool party. One day there will be time!! thanks for all your ideas and posts. what a cute idea to dress up some kisses! WOW - some fabulous ideas here - thanks so much for sharing.